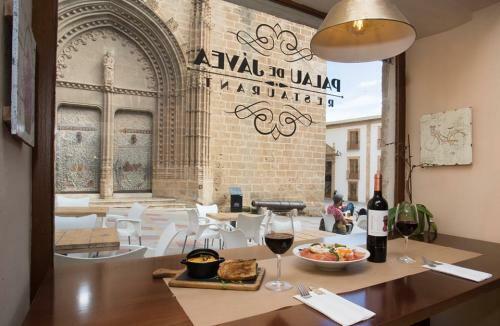 PALAU DE JAVEA is located right in the heart of the historic centre of the town, opposite the main doors of the ancient church of San Bartolomé. 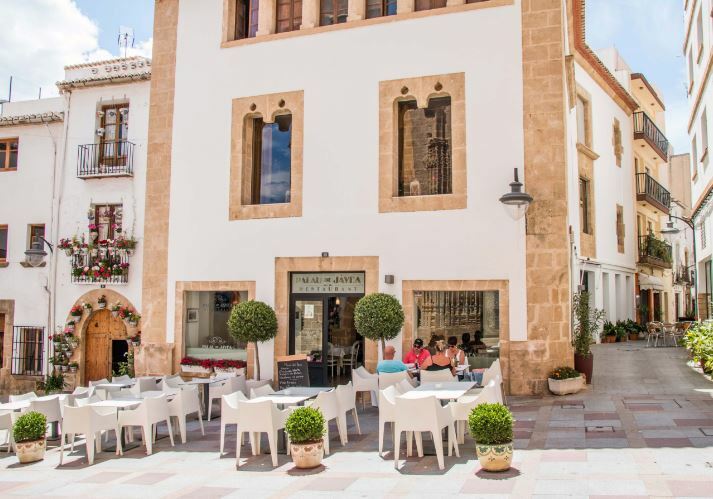 It is located in one of the oldest buildings in town, a 15th century mansion that once belonged to one of the most powerful families in the Kingdom of Valencia and it's clear from the magnificent gothic architecture that it was  and remains  one of the most iconic building in Xàbia. Whilst the interior has been modernised in recent years, it retains a traditional charm with some original features preserved and integrated into the modern decor to give Palau de Jávea its distinctive look. The ground floor contain the main bar area with plenty of comfortable seating inside and a large sunny terrace area to enjoy throughout the year as the building is a perfect sun trap during the morning and early afternoon for those who enjoy such pleasures. Upstairs you'll find a bright and airy dining room with its own bar and bathrooms which is perfect for private events and parties and the staff at Palau de Jávea can work with you to find an option that best suits for budget, whether it be for a birthday, a wedding or business event. 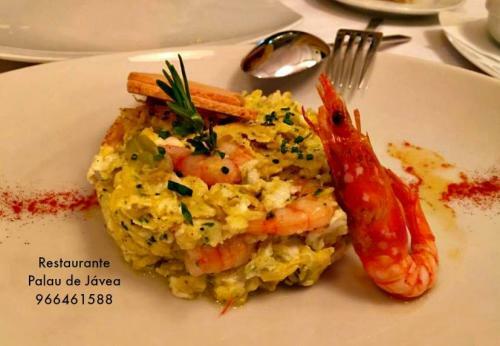 The aim of the staff at Palau de Jávea is to deliver extra special, fresh homemade food at reasonable prices. They have developed a menu offering a fusion of international cuisine with authentic traditional recipes that will satisfy even the most sophisticated of tastes. There is a selection of breakfast options including English, tasty tapas snacks, a special lunch menu from 13,50 euros which includes starters, a choice of three mains and dessert or coffee, and a full a la carte with stone grilled meat and a great selection of fresh fish, all ingredients sourced fresh from the nearby municipal market, just a few steps away. Palau de Jávea offers a welcoming atmosphere in delightful surroundings to offer an unforgettable experience. Prepared to be charmed! Loyalty cards Every time you enjoy a coffee or breakfast at Palau remember to get your card stamped and the 10th one will be free. Free Parking! When you enjoy a meal with Palau de Jávea. Just mention that you are parking in the underground car-park in Plaza de la Constitución and they'll give you a ticket to cover your stay. 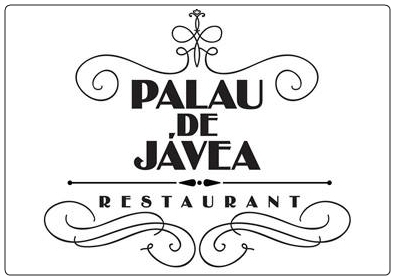 Please mention javeamigos.com when visiting Palau de Jávea. Ken Ablard. 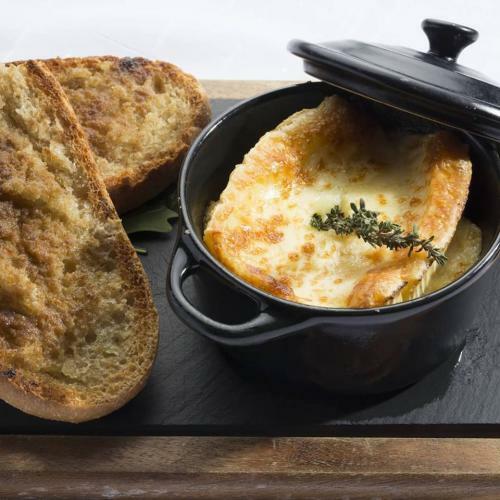 Jan 2019 - "Simply the best, great hosts and fantastic food." Vecchio Bob, Dec 2018 - "Thanks to the owners and staff for the great evening celebrating our sons birthday. Great service and hospitality. The food was excellent. Thanks"
Renate Mulzet, July 2018 - "Ein super tolles Ambiente und das Essen war sehr gut! Stimmungsvoll auf dem Vorplatz der Kirche zu sitzen! Es war ein Erlebnis!" Haniel Monsonis Espi, June 2018 - Fantastic restaurant where eating becomes a real pleasure. Wonderful personal treatment, with elegance and distinction.